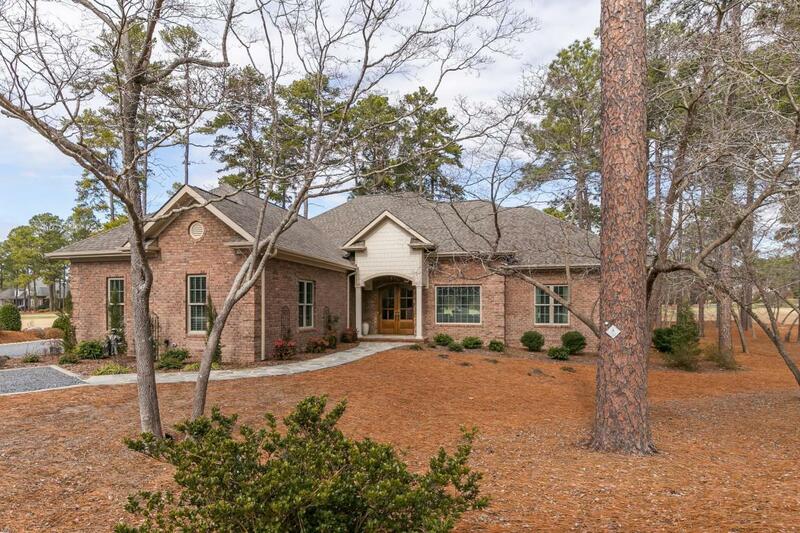 EXCEPTIONAL CRAFTSMANSHIP DEFINES THIS IMMACULATE 2015-2016 CUSTOM BUILT ALL BRICK GOLF FRONT HOME IN NATIONAL #9. WALKING DISTANCE TO CLUBHOUSE AND STUNNING GOLF COURSE VIEWS. THIS HOME FEATURES 12' CEILINGS, HAND SCRAPED WOOD FLOORS, DECORATIVE MOLDINGS, NEUTRAL COLOR SCHEME, SPLIT BEDROOM PLAN. THE GOURMET KITCHEN FEATURES BAHAMAS WHITE GRANITE COUNTERS /KENMORE ELITE STAINLESS APPLIANCES/PANTRY/ ISLAND W/ WINE RACK/STORAGE. MASTER SUITE FEATURES HIS AND HER WALK-IN CLOSET/EXERCISE, OFFICE ROOM AND CUSTOM BUILT-IN DESK AREA. MASTER BATH FEATURES DUAL SINKS W/ CREMA MARFIL MARBLE COUNTERS/ WALK-IN SHOWER W/ DUAL TEMP CONTROLS. SPACIOUS LIVING/ FAMILY ROOM W/TWO FIREPLACES AND CUSTOM WALL UNIT. SCREENED IN PORCH. 3 CAR GARAGE. THIS HOME MUST BE SEEN. GOLF FRONT LIVING AT ITS FINEST.